Access 2013 utilizations the Ribbon to arrange charges, much the same as in Access 2010 and 2007. In the event that you’ve utilized these variants previously, Access 2013 will feel well-known. Be that as it may, on the off chance that you are new to Access or have more involvement with more established adaptations, you should first set aside some opportunity to get comfortable with the Access 2013 interface. Tap the catches in the intelligent beneath to get comfortable with the Access 2013 interface. 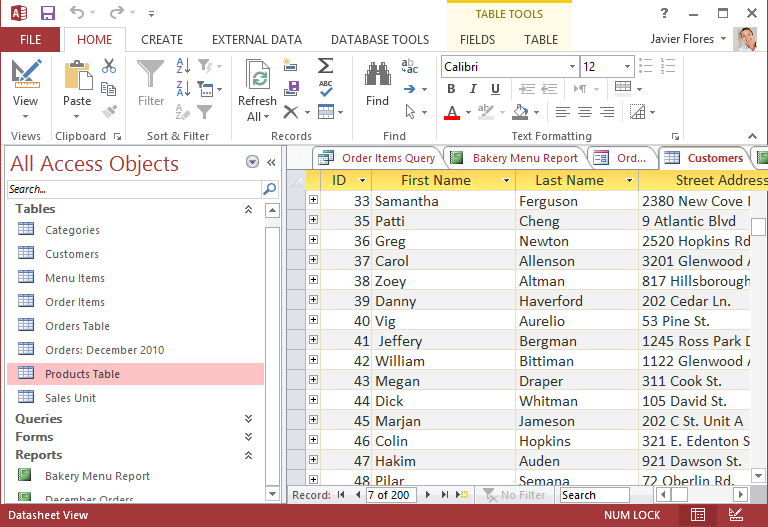 Almost on the off chance that you’ve already utilized Access 2010 or 2007, Access 2013 will feel well-known. It keeps on utilizing highlights like the Ribbon and the Quick Access toolbar—where you will discover orders to perform normal undertakings in Access—also as Backstage see. 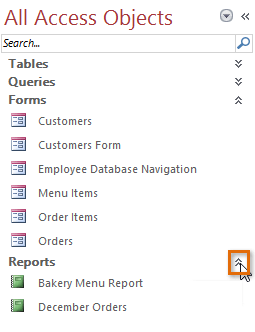 Access 2013 utilizations a tabbed Ribbon system instead of conventional menus. 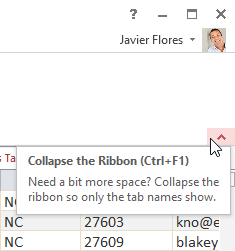 The Ribbon contains multiple tabs, each with several groups of summons. You will utilize these tabs to play out the most common tasks in Access. The Ribbon is intended to react to your present undertaking; be that as it may, you can pick to minimize the Ribbon on the off chance that you find that it takes up excessively screen space. Snap the arrow in the lower-right corner of the Ribbon to limit it. The Ribbon will be minimized. Click a tab to make the Ribbon reappear. It will disappear again when not in use. 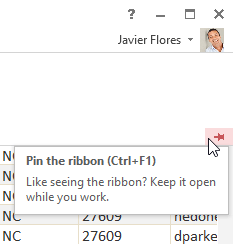 To maximize the Ribbon, click a tab, then click the pin icon in the lower-right corner. The Ribbon will appear at all times. 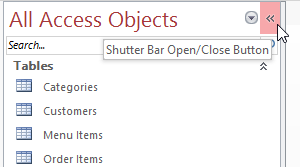 The Quick Access toolbar, located above the Ribbon, lets you access common commands no matter which tab you are on. By default, it shows the Save, Undo, and Repeats commands. If you’d like, you can customize it by adding additional commands. Note that the Save command only saves the current open object. In addition, the Undo command will not undo certain actions, like adding a record. Pay close attention to your information when using the Undo command to make sure it has the desired effect. 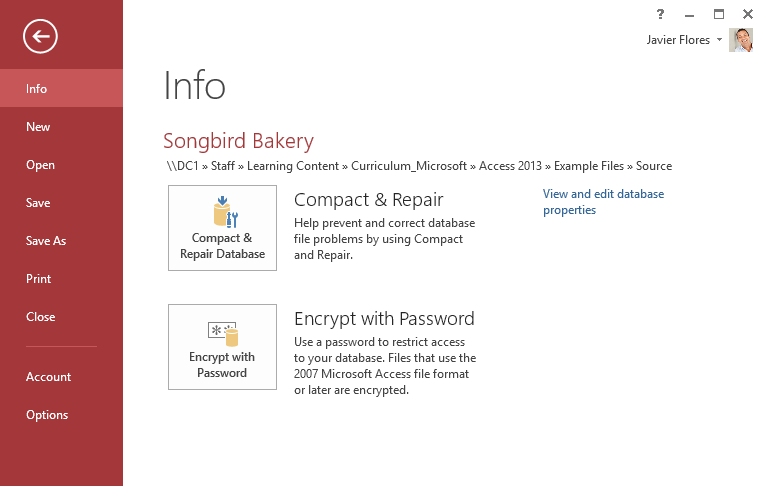 Backstage view gives you various options for saving, opening, and printing your database. The backstage view will appear. Click the buttons in the interactive below to learn more about using a Backstage view. 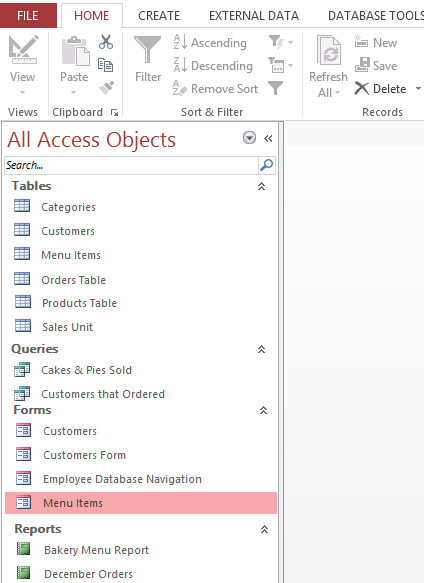 The Navigation pane is a list containing every object in your database. For easier viewing, the objects are organized into groups by type. 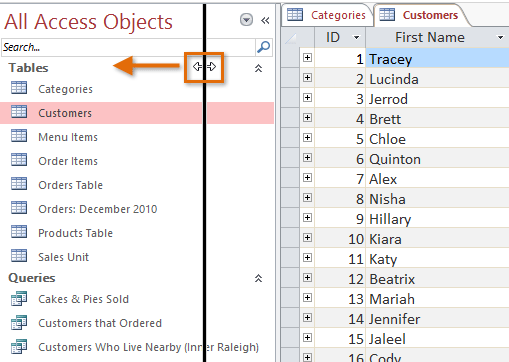 You can open, rename, and delete objects using the Navigation pane. The Navigation pane is designed to help you manage all of your objects; however, if you feel that it takes up too much of your screen space you can minimize it. To minimize the Navigation pane, click the double arrow in the upper-right corner. The Navigation pane will be minimized. Click the double arrow again to maximize it. If you want to make the Navigation pane smaller without fully minimizing it, you can resize it. 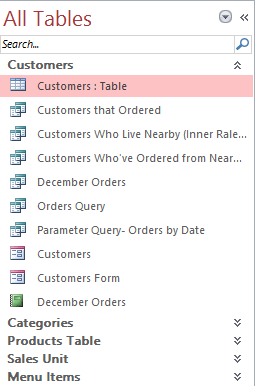 Simply click and drag the right border of the Navigation pane. When it is the desired size, release your mouse. Much as allows you to make a custom gathering for arranging objects. Subsequent to applying the sort, just drag the coveted items to the new gathering. Protest Type groups questions by type. This is the default setting. Tables and Related Views groups structures, questions, and reports with the tables they allude to. Snap the drop-down arrow to the privilege of All Access Objects, at that point select the coveted sort starting from the drop menu. 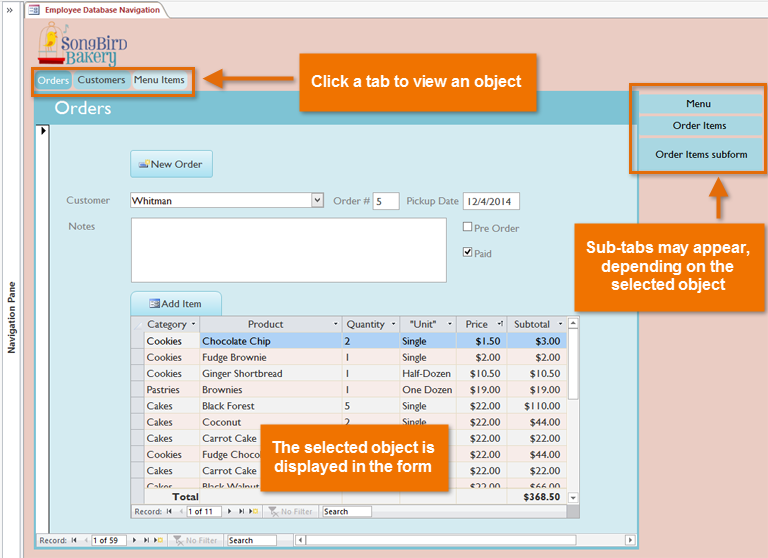 The objects in the Navigation pane will now be sorted to reflect your choice. 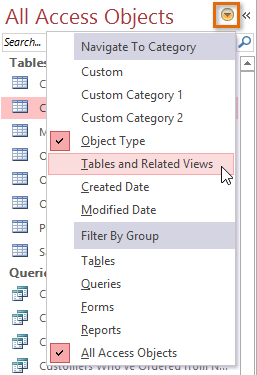 To further customize the appearance of the Navigation pane, you can minimize groups of objects you don’t want to see. Simply click the upward double arrow next to the group name. To show a group, click the downward double arrow. So, They contain tabs that enable you to view and work with basic structures, questions, and reports. As a result, you are every now and again utilized articles accessible to you in one place gives you a chance to get to them rapidly and effortlessly. Hence To open a question from a route shape, click its tab. The protest will be shown inside the routed frame. Once a protest is open, you can work with it as you typically would. For the most part, route shapes incorporate just a run of the mill client should work with reasonably routinely, which is the reason your route frame may exclude each and every shape, question, or report. This makes it less demanding to explore the database. Hence, it’s essential to ask your database fashioner or director before working with objects that are not accessible in your route shape. When you have the thumbs up, you would simply maximize the navigation be able to the pane and open the articles from that point.